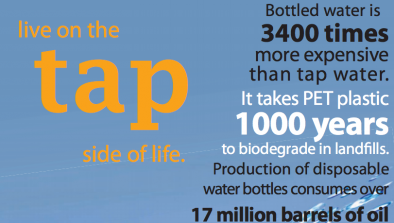 The entire life cycle of bottled water uses fossil fuels, contributes to global warming, and causes pollution. Bottled water is about 3,000 percent more expensive per gallon than tap water. “Bottled water generally is no cleaner, or safer, or healthier than tap water. 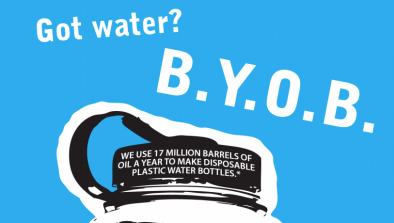 In fact, the federal government requires far more rigorous and frequent safety testing and monitoring of municipal drinking water.” -foodandwaterwatch.org, “Take Back the Tap"
HGSE students, staff, and faculty are reminded to refill their water bottles and reusable mugs for free at the filtered water stations and fountains across campus.